Older: Russia’s Perfect Storm…of Human Error Newer: Georgia: Cuba of the Caucasus? TBILISI — It sounds like a basic political rule of Machiavelli: launch a war, lose the war, lose power. 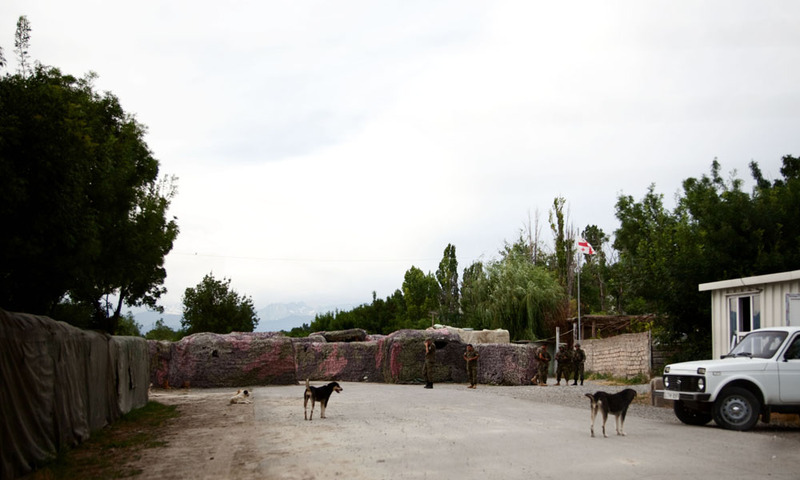 Three years after Georgia tried to reassert control over its breakway province, South Ossetia, a necklace of new Russian army and border guard bases protect the self-proclaimed republic. In 1974, Greece’s ruling general, Dimitrios Ioannidis, engineered a coup on Cyprus, calculating that Turkey would not respond. Before Ioannidis could unite Cyprus and Greece, the Turkish military invaded, occupying the northern third of the island. That loss led to an end to seven years of military rule in Athens. In 1982, Argentina’s ruling general, Leopoldo Galtieri, invaded the Falkland Islands, calculating that Britain would not respond. The British recaptured their Islands. That defeat led to an end to seven years of military rule in Buenos Aires. 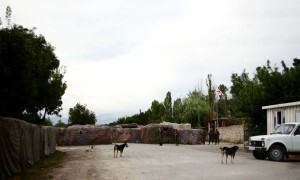 On August 8, 2008, Georgia’s democratically elected president, Mikheil Saakashvili attacked the separatist government of South Ossetia, calculating that the Russian bear would not respond. But guess who is still president of Georgia? This time, about three quarters of Ossetians living in Georgia’s breakaway province held Russian passports. Russia had stationed about 500 peacekeeping troops near the border – a human tripwire against a Georgian attack. Five days before the Georgian leader’s attack, Russia completed its annual summer Caucasus training exercises, leaving 8,000 troops and 700 combat vehicles parked near the northern entrance of the Roki Tunnel, the lone connection through the Caucasus Mountains, between Russia and South Ossetia. Despite these overwhelming odds, President Saakashvili launched the attack, vowing to restore “constitutional order” in South Ossetia. His defense minister was vacationing in Israel. The surprise attack seemed to blindside Georgia. 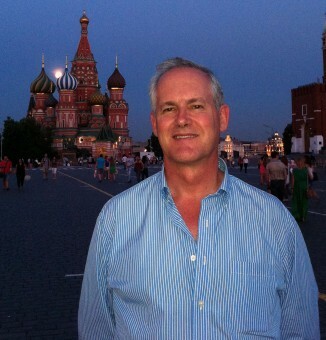 I happened to be in Tbilisi that week, on a business sabbatical from journalism. On the afternoon of Aug. 7, I had a long meeting with the local representative of the International Monetary Fund. After about 45 minutes, I brought up, almost as an afterthought, Georgia’s breakaway provinces of South Ossetia and Abkhazia. The representative, an American with five years experience in Georgia, lowered his voice to imply inside knowledge, and said that an overall, negotiated solution was in the works, probably for November. Equally clueless was a British friend, the BBC stringer for Georgia. He called at 7 pm to cancel dinner at the last moment, saying “Misha is on TV announcing something.” After a week of border incidents, “Misha” Saakashvili was announcing a unilateral ceasefire. Several hours later, according to a 2009 report of the Council of the European Union, Georgian artillery started shelling South Ossetian positions. But Friday afternoon at Tbilisi International Airport, it became increasingly clear that it was not smart to attack Russia’s surrogate. One by one, flights from Europe were cancelled. The managers of Lufthansa, Air France and KLM did not want to risk sending their million dollar metal – and their passengers – into a war zone. Georgian Airways wisely cancelled my flight to Moscow, not wanting to risk having their plane confiscated. At the air terminal, Georgians seemed to think I was overreacting when I would step out from time to time to scan the skies for Russian bombers. (The Russians lightly bombed the airport area 36 hours later). Stranded in Tbilisi, I went back to my hotel, Betsy’s, which had international television. Standing by the bar, I and other guests watched news footage of Russian tanks clanking out of the southern end of the Roki Tunnel. I had the sinking feeling that I was watching my generation’s version of Prague 1968. In the aftermath of Georgia’s resounding defeat, American officials tumbled over themselves to assure the world they had clearly, very clearly warned Misha not to do it. The CIA never publicly explained why their photo analysts did not pick up that, during the week before the war, the northern entrance to the Roki Tunnel was the largest military parking lot for 1,000 kilometers around. By failing to plug this tunnel, President Saakashvili lost the war before he started it. Apparently, Sandra Roelofs, his Dutch-born wife, never told him the tale of the Dutch boy who saved the town by putting his finger in the dike. So now, the Russians have 10,000 troops and extensive military material permanently stationed on the ‘wrong’ – southern — side of the Caucasus Mountain chain, in Georgia’s breakaway provinces of Abkhazia and South Ossetia. Depending on driving speeds, a Russian motorized brigade could reach Gori in about 45 minutes, a move that would cut Georgia in half. 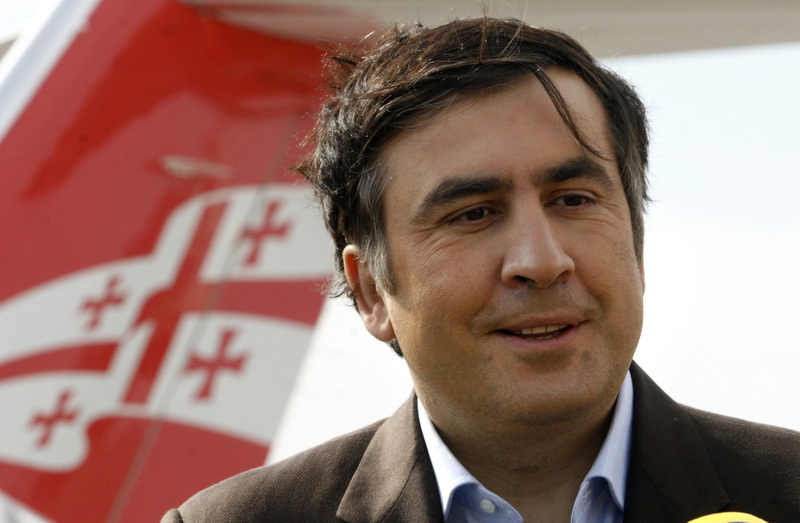 Three years after the war, Saakashvili has beaten the historical odds. He baited the Russian bear, lost the fight, and kept the presidency. That postwar feat of political acrobatics is another tale. Please! Saakashvili is a U.S.-backed terrorist, even his own people are now revolting against him and want him gone. Georgia was the aggressor back in the 90s against Abkhazia and again in 08. Stalin forcefully integrated Abkhazia with Georgia. The Abkhazian people have lived on their land for thousands of years and have a right to self-rule. Those are the facts. Reason for this is because those lands are Georgian lands longer than Russian existence, Saakashvili is a brave man, all Baltic countries and those who have been oppressed by Russia SALUTE YOU!!! fact also is that 200 000 Georgians have been kicked out from Abkhazia, those people need to be back to their ancestral home, once this happens then we can vote to see if Abkhazia wants to be independent, you can’t kick out real residents of land and then vote amongst your selves, this is a fake vote, lets restore Abkhazia how it was before with Georgians coming back to their land and lets vote then, but we already know what will happen, Abkhazia has always been part of Georgia and always will be. …maybe 1% of Georgia’s population are revolting against him. I suggest you stop getting your news from RT. Certainly, the Abkhazian people have the right to self-rule. And what purpose for apart from FSB’s ambitions? And who has declared that FSB is a political subject apart from being a tool in hands of a tyrant? James Brooke equates success in waging war with leaders staying in power. Would “success” be proclaimed if, say, half of the Georgian population died and Saakashvilli stayed in power? Well, to be fair, since millions did not die, how about we replace it with the reality of an economic downturn and a huge refugee problem. Economic activity is now actually higher in its land-locked southern neighbor, Armenia, than in Georgia with a Black Sea coast! I too was in Tbilisi during Saakashvilli’s war. I saw the folly of it all – especially after speaking with returning soldiers, many who were abandon by their superiors. A few days after the start of hostilities a local kid I knew was picked up and sent to the Vaziani military base for training. After a day, he called home starving. His mother had to bring him food. 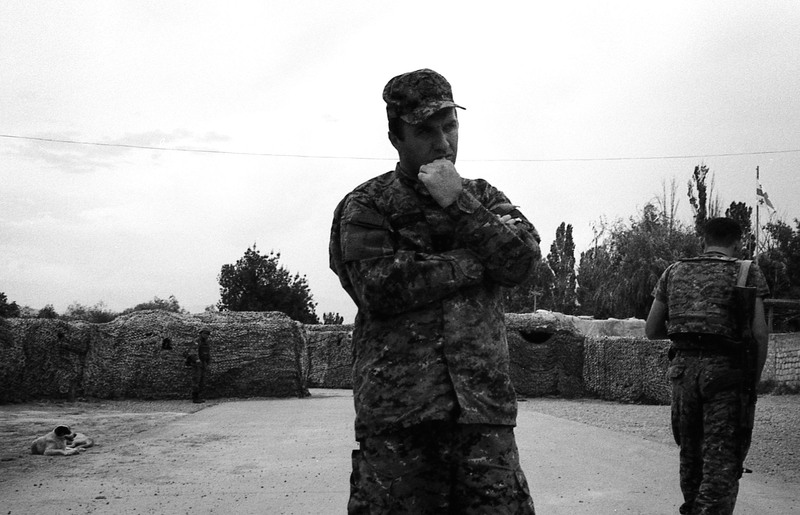 Within days he was in Gori. He did learn what end of a rifle to hold, but had to hitch a ride back home by himself. 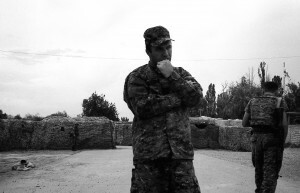 I spoke with a Georgian officer who said part of Saakashvilli’s strategy was to force Ossetian refugees north into the Roki Tunnel to interfere with Russians moving south. 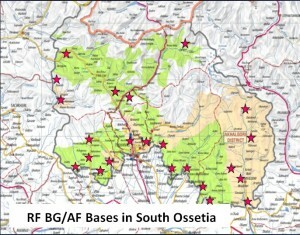 The delay was suppossed to allow Georgian forces to occupy Southern Ossetia. Saakashvilli was going using his own citizens to plug a tunnel. “Misha” may be America’s man, but that doesn’t means he should be applauded for surviving. Another Georgian, Stalin, also survived, should we applaud him as well? It’s very clear that Saakashvili lied to all of us. “We are not Georgians” anymore. If we accepted Kosovo and also Southern Sudan as independent states, so why not Abkhazia and S. Ossetia? Kosovo as a country never existed before but Abkhazia has a millenarian history as a Kingdom and also as independent country until Stalin integrated into Georgian in 1931. Our policy push Abkhazia into Russia’s arms. I think it’s time to speak truths. 1. Yes, it matters for someone to sell yourself for more. Particularly when there are buyers. 2. But did ordinary Russians with Russia’s vast uninhabited territories want to buy you with soldiers’ lives and national resources having been wasted? 4. Millions of ordinary Russians didn’t need any additional country or territory, apart from FSB minded establishment. With Russia under current regime being dying out, ghost villages and abandoned towns, with population on the brink of famine in 2010/2011, empty factories and farms, with airplanes and boats crumbling apart, isn’t it for ordinary Russians proper time to seize but not just survive? 5. PM Putin pours taxpayers money into tiny Chechnya every day more than in a few devastated subjects constituting the Russian Federation. 6. With billions of petrodollars nowadays Russia firmly stands … on clay feet. So, what was the sense of the war? Gennady, your premise of Russia wanting more territories is wrong. History will judge the Georgian president much harsher than his Western friends. Why not give independence to Chechnya, Karelia, Dagestan, Scotland, Wales, Quebec, the Basque country, Catalonia, Corsica, Northern Italy, Crimea, Kurdistan, Wallonia, Western Sahara, Northern Nigeria, Somaililand, Cyrenaica, Tamil Nadu, Kashmir, Tibet, West Papua, Mindanao, Manipur etc. etc. ? The reason is that there is an important principle involved – that people should learn to live together and get along. Separation must only be a last resort, to prevent massive human rights abuses. Why wasn’t VOA (not to mention their colleagues at RFE/RL) writing this sort of sensible, educated journalism about Georgia in 2008? Instead during the 2008 conflict, like most of the western media, you guys just defaulted to Cold War stereotypes and believed, and re-published, everything Saakashvili fed you, to your great professional discredit. To say simplistically that “Georgia launched the war” is to ignore 200 years of history between Russia and Georgia, and to ignore the escalating military activity on both sides in the months prior to August. 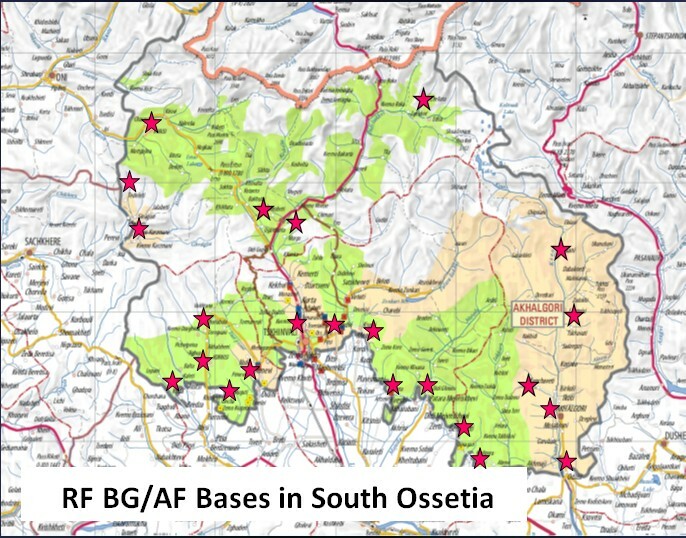 It is a moot point whether the war started with Georgia’s firing of Grad rockets at Tskhinvali, or with South Ossetia’s shelling of Georgian villages a couple of days earlier, with Russia’s overflights of Georgian airspace, with the murder of Georgian policemen etc. etc. Changing the context clarifies things a lot. What if Mexico was to invade the southern US to protect the rights of hispanics which it felt were being abused? Would the US president be criticised for trying to reclaim US territory? Of course not – it would be his constitutional duty. Same goes for Saakashvili. Whoever “started it,” it’s clear the Gergian/Russian War was primarily “caused” by Russia’s expansionist (“imperialist”?) ambitions in the North Caucasus & claims to Georgian territory. If “Misha” was foolish & made stupid mistakes in responding to Russian provocation, it’s clear the Putin regime & the FSB instigated the provocations in the first case. And, of course, Russian ambitions to claim the North Caucasus & ethnically cleanse the Georgians (Chechens, Ingush etc.) date way back in history & are currently being served by the continued military occupation of South Ossetia & Abkhazia. To compare “Misha” to Stalin (who deported the entire Chechen nation to Siberia & attempted to Russian-ize the entire North Caucasus, despite being a Georgia iiosip dujashvilii] himself…) is simply an egregiously false comparison. Sakaasvilii no doubt makes mistakes, but he’s no dictator (or even demagog…). If the Sakaasvillii government has “survived” & kept Georgia (mostly…) “democratic” & “free” against these Russian attacks & FSB subversion, that’s something to be praised for (apart from the whole question of “who won” & “who lost” the war…). But where is the Kosovo argument falling in that logic ? Milosevic exercised far more restraint before the war in Kosovo than “Misha”. 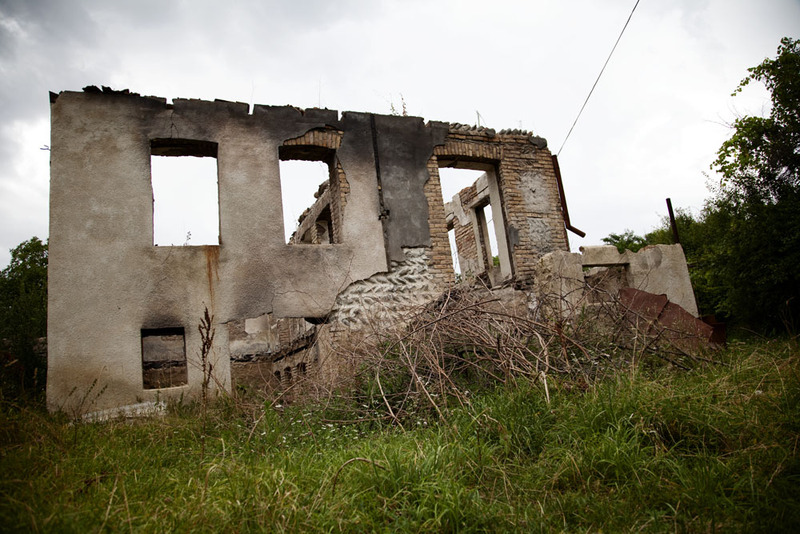 I just cannot remember a confirmed fact that Serb forces shelled any major city in Kosovo before the US bombing campaign began, and the full war started. On the other hand you just cannot make excuses to chop a country in two, while playing the line of “reclaiming the sovereign territory” the next day ( paging the US line here ). For the Kosovo reason only, the US arguments/wooden language will always be pathetic with regard to Osetia. And speaking of the US argument — what it would happen if -say- Serbia will start shelling tomorrow Kosovo where US troops were stationed ? And yes- during the opening days of the Olympics, so that the media will be slow in pointing out such brilliant plans ? So why is moot to point out that nothing than a full artillery assault was started against a sleeping city ? Really ? How about the older than 200 year history of the two regions ? Should I remind you once again that is was a georgian named Stalin that incorporated those regions into Georgia ? 80 years ago or so ? ( while Kosovo was never a state). Is that history or what ? Is it moot ? Russia is an occupant country. So says US Senate, unanimously. I add: russia is Faschist Nazi country as well with Putin like Hitler. It’s a nonsense to say that Georgia STARTED this war with Russia on its own (Georgian) territory!!! That’s true! And why James Brooke doesn’t tell us that Saakashvili’s unilateral ceasefire was rejected by Ossetian Separatists and they continued shelling the Georgian villages and the Chief of Russian “peacekeepers” Marat Kulakhmetov declared officially that he couldn’t control the separatists any more?! And Abkhazia historically always was a Georgian Territory, since Georgia as a state exists! And this KGB/FSB tales that it was incorporated by Stalin is a shameless lie! Even in 1921, when Soviet Union invaded Georgia, Abkhazia was Georgia and the majority of its population was Georgian! The Georgian people are highly educated and more than 80% people are regular print media readers.Thats why they supported pink revolution against Russian backed ruler Edward Shevarnadze in support of Georgia.India’s major foreign affairs discussing “Front line” magazine’s left lenient columnist “JOHN CHERIAN” said Shaksvilli is pro western candidate of Georgia.whatever it may be ,poll rigging of election results by Edward Shevarnadze had thrown him out of power.Russia utilised the chance after Pink revolution didn’t deliver much aslike Ukrine’s orange revolution though they live in better condition than Shevarnadze.Russia allowed South Ossetia and Abhkazia to Georgia after Shevarnadze assumed power after ex-USSR collapse.Only France mediation helped to end the war in August2008 with European Union Monitors.Recently America denied NATO monitors as the European monitors are doing fine job.In coming days,Georgia’s opposition’s role is important in the matter as Shaksvilli faces antiincubency within country.Similarly,NATO’s role is also significant as NATO’s Canadian born Deputy secretary for Caucus&Central Asiaand former CBC Journalist-“JAMES APPATHURAI” said NATO had the right to sell arms to Georgia in an interview in 2011 as per Georgian English magazine report. All people of the world have the right to independence. And we are to give independence to Chechnya, Karelia, Dagestan, Scotland, Wales, Quebec, the Basque country, Catalonia, Corsica, Northern Italy, Crimea, Kurdistan, Wallonia, Western Sahara, Northern Nigeria, Somaililand, Cyrenaica, Tamil Nadu, Kashmir, Tibet, West Papua, Mindanao, Manipur etc. etc if they want it. Common Russians do not need neither Abchasia nor Ossetia nor whatever foreign culture out there especially muslim ones. We should stick to what’s ours. Let them all fight their wars themselves. We have more imminent problems now. Russians are to fight for survival as a nation not as a territory. The main our problem is in our mentality which results in the rulers we have, sneaky idiots (wierd combination per se, I agree) and maniacs, Putin is the wierdest combination of the both. Corrupted FSB and beaurocracy want to have castles and villas near Black Sea on the lawless territories guarded by regular army? I wonder why Russians allow them to do it at the poor common Russians’ expence? lost to Russia, and then some. St. Petersburg (Leningrad) is actually Finnish property. march? Remember, China also has the H-Bomb, so Russia cannot use that threat for protection. We have seen the end of Russian empire-building.